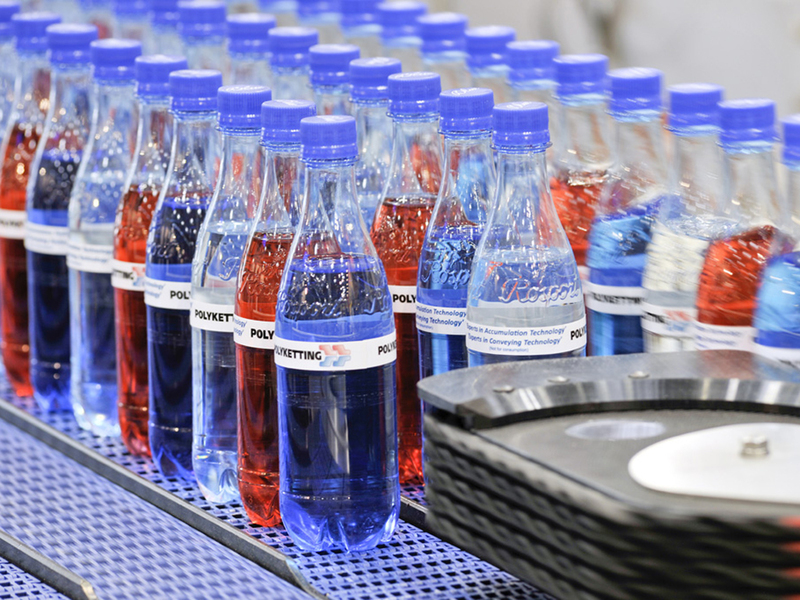 For manufacturers and bottlers of beverages and liquid food, sustainability and packaging design in filling and packaging are just as important as an efficient and cost-reducing technical solution. At drinktec 2017, the leading global trade fair for the beverage and liquid food industry, these topics will be dealt with intensively from all angles in the coming year. Secure supply of consumers in a globalized world be impossible without packaging. There are repeatedly many new and untapped opportunities to reduce packaging, use it more sensibly or consume fewer resources in its manufacture. Manufacturers will exhibit solutions to these topics at drinktec, which will take place in Munich on September 11 to 15, 2017. This is because drinktec 2017 is not only focusing on the topic of water and energy management, but also packaging design. Almost half of all exhibitors will present specific packaging solutions for the beverage and liquid food industry. In addition to filling and packaging technology with aseptic systems, this also includes cleaning, filling and sealing technology, inspection and sorting machines, labeling and equipment technology and—as of recently—digital direct printing, unpacking and packing machines, multiple packing machines, palletizers and depalletizers as well as conveyor systems. Containers, packaging materials, packaging accessories and closures, multipacks and multi-unit packages represent a second focal point. Consequently, the leading trade fair also provides an incredible variety especially when it comes to packaging. Visitors also concur with this viewpoint, 97 percent of whom awarded top grades for the areas containers, packaging materials and closures as well as filling and packaging technology at the last drinktec. One thing is certain: packaging should always be part of the solution. For the World Packaging Organisation, “better quality of life through better packaging for more people” is the goal. “Sustainability is evolving from a secondary concern into a necessary component in the design of new product innovations,” the market research institute Mintel wrote in its study “Global Food and Drink Trends 2016”. Volker Kronseder, Chairperson of the Advisory Board of drinktec and Deputy Chairperson of the professional association Food Processing and Packaging Machinery in the German Engineering Federation (VDMA), concurs with this viewpoint. According to him, environmental protection as well as saving energy and resources are the most important tasks for the industry in the future. Mr. Kronseder believes that the greatest potential for innovation is in the topics Industry 4.0, digital direct printing, intralogistics and sustainability. Visitor magnets at drinktec on these topics will be the “PETpoint” and the “World of Labels” as well companies’ own exhibition areas dealing with the topics of PET, labeling technology and labels, among other things. In addition to the environmental impact, food safety and health awareness, lifestyle-appropriate presentation of food and drink will especially play a major role in the purchase decisions of consumers. In terms of safety, criteria such as hygiene, durability and traceability are decisive. An unbroken chain of information about transport stations and active packaging, which is equipped with RFID antennas and transponders, for example, are becoming more important with increasing internationalization. Concerning presentation, the convenience factor of beverage packaging is in the foreground. On-the-go consumption has increased steadily in recent years, according to GfK Roper. The convenience factor is becoming increasingly important for consumers, and they are willing to pay more money for such products if they make life on-the-go easier. Packaging also serves as an important tool for marketing and sales purposes. Attractive package design is required. Is the design of the packaging or a designed label on beverage containers more important than the contents? No, but it is also clear that appealing, interesting and clever packaging and labels are significantly involved in the sale of a product. According to a survey conducted by the auditing company PricewaterhouseCoopers AG, there are four key areas within innovation management that must be pursued most intensively by packaging material manufacturers: design, functionality, process and workflow improvements as well as material innovation. Two currently significant trends in consumer behavior are the increasing demand for smaller and recyclable packaging. With innovative materials, for example, this concerns the use of renewable resources such as bio-plastics based on corn starch. Whoever wants to know more about this would do well to note that the top issues of the future in the field of packaging will be discussed in the “Innovation Flow Lounge” at drinktec 2017. Following its great success at its premiere at drinktec 2013, this new networking platform is going into its second round at drinktec 2017. And what is the situation with PET? A lot is happening there too in the terms of light weight as well as the use of recycled PET or plant raw materials. In addition, mechanical engineers are developing interior coatings with a glass skin that promises especially sensitive beverages a longer life even in small containers. All innovations and developments in the PET area will be presented at drinktec 2017 on 11,000 square meters in the PETpoint exhibition area. With respect to packaging machines, it is also clear there that there is a trend toward blocking several machines or a compression of various units into a single packaging line as in the filling area. Modern robot technology makes this possible. In addition to reducing the space required up to one-fifth, this increases the flexibility of the processing facility. Conversions to other types of packaging are fully automatically at the touch of a button. Conventional packaging machines for PET, cans or glass bottles can be combined with a grouping station and a palletizer into a dry part block, which increases the efficiency of packaging substantially. In the drinktec forum, leading experts from research and practice will present many groundbreaking ideas and practical solutions about questions of the future in this field of packaging technology. Packaging manufacturers and packaging machinery manufacturers as well as all involved in peripheral equipment have a bright future. “In particular, the increasing mechanization of food production in developing countries has significantly boosted demand in recent years,” Richard Clemens, Managing Director of VDMA Food Processing and Packaging Machinery, commented on the positive outlook for the future. drinktec 2017 will promote this in the long term with its focus on packaging and packaging technology.